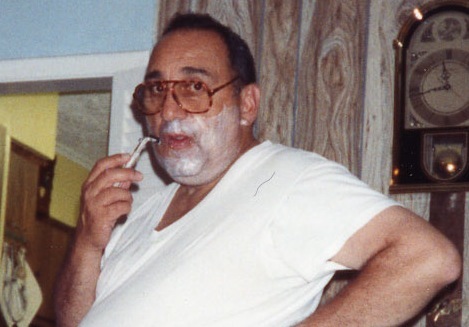 Most every guy in the world learned how to shave from his father. When I joined the Marines at 18 years old, what I learned from dad didn't change, but what did change was the fact that I was now required to shave every single day. Running a razor over your face once a day, every day, will give most men razor burn. Luckily, the shaving technique that my father taught me, which most women already seem to know, is to replace your shaving cream with the type of skin cream that you find in a simple jar of Noxzema. The key component in this type of skin cream is menthol. This ingredient, which comes from peppermint and other mint oils, literally has the same cooling effect on your skin as ice. 1. For starters, you'll need a cheap, stiff, shaving brush. This is one time when cheaper is better, so don't use a high end, soft as silk, badger hair, shaving brush, since Noxzema doesn't lather like traditional shaving cream. 2. 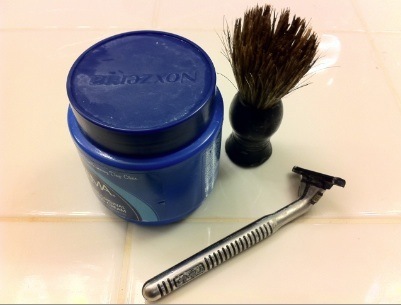 Simply apply the Noxzema skin cream to your face, with the shaving brush, like you would any other shaving cream. While shaving your face, you'll notice that you can get a closer shave with less of a burn. 3. Here's the real secret to preventing razor burn: When you're done shaving, put another coat of Noxzema on your face. Let this coat dry on your face, for at least a couple minutes, before jumping into the shower to wash it off. This post-shaving coat makes a huge difference at reducing razor burn. Bonus: To get the closest possible shave, shave in the shower with a fog free mirror. This will leave no whisker uncut. I've tried many different types of shaving creams over the last 27 years, from aerosol cans and old fashion shaving soaps, to high end products; but none provide the same level of comfort as a basic jar of Noxzema skin cream. So, give it a try – it just may change the way you shave.